Want to determine the future of space travel? NASA is building a new class of space suit, and it's crowdsourcing the Internet to help it pick a design. A step up from the "Z-1," which Time a named Best Invention of 2012, the "Z-2" will incorporate a number of advancements designed to protect astronauts from deep-space conditions, including on the surface of Mars. "We haven't had to design a space suit to operate in a surface environment since we went to the moon," Daniel Huot, a NASA spokesman at Johnson Space Center in Texas, told NBC News. "As you can imagine, a lot of things have changed, and this is going to incorporate the features that astronauts are going to be wearing when we go to Mars." The Z-2 marks several milestones for NASA, which collaborated with space-suit-maker ILC Dover on the prototype. 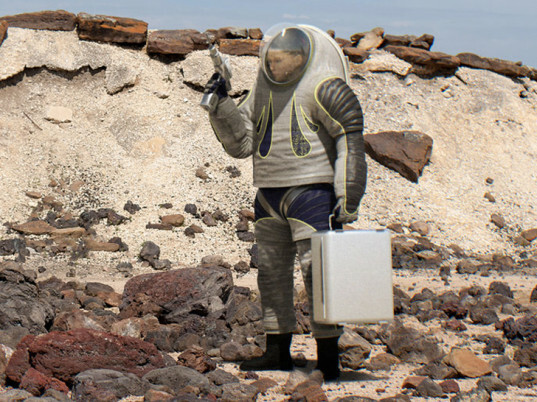 It’s the first surface-specific planetary mobility suit to be tested in full vacuum, for one. It also the first hard upper torso to be equipped with a suit port that docks with a spacecraft or rover so an astronaut can climb inside without letting air in or out. Suit-sizing will be more of a cinch, thanks to the use of three-dimensional body scans and 3D-printed hardware. The Z-2 suit uses 3D body scans and 3D-printed hardware for sizing and development. Plus, a cover layer, which protects the suit against abrasion and snags, allows engineers to play with elements never used in a space suit before. Together with ILC and student designers from Philadelphia University, NASA has narrowed down its options to three possibilities: “Biomimicry,” a pattern inspired by the bioluminescence of aquatic creatures found at fathomless ocean depths; the TRON-like “Technology,” which boasts glowing panels devised from Luminex wire and light-emitting patches; and “Trends in Society,” a sporty livery based on ideas of what “everyday clothing may look like in the not-too-distant future,” according to NASA. 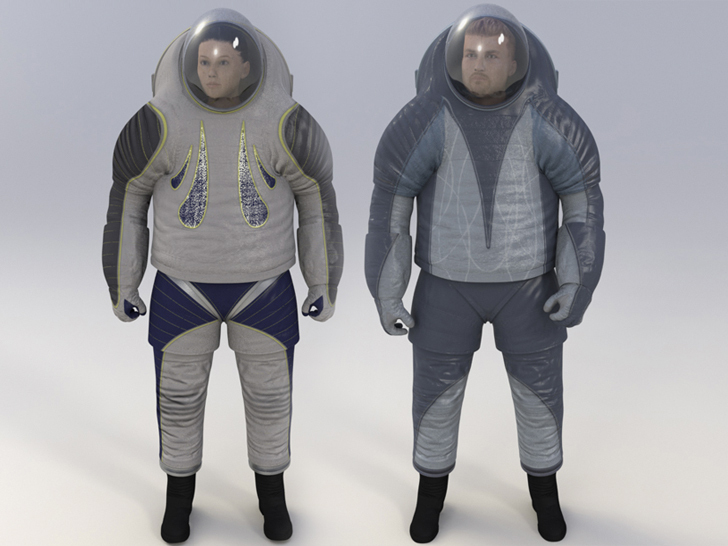 NASA expects to have the fully constructed Z-2 suit by November 2014. The deadline to make your selection is April 14. Option C: "Trends in Society"